Hapoel Jerusalem added some extra muscle to its frontcourt by signing American power forward Sean Jones to a three-year deal, as the club officially announced. 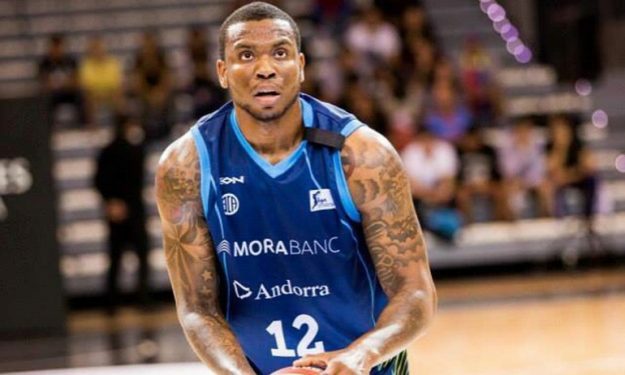 Hapoel Jerusalem added some extra muscle to its frontcourt by signing American power forward Shawn Jones to a three-year deal, as the club officially announced. 24-year old Jones arrives from Morabanc Andorra with which he spent the first season of his professional career, playing in Spain. In Liga Endesa, he averaged 9 points and 3 rebounds in 15 minutes of playing time per game. Simone Pianigiani, Hapoel’s coach, characterized Jones as “a very talented and aggressive player”, adding that “we see a tremendous potential and him and benefits that we love”. Since the Israeli team will compete in Eurocup, Jones is bound to make a debut in the competition.